Interested in earning your GED? The Adult Education Program can help! Why earn your GED? It’s your future! Today’s job market is highly competitive, and without a high school diploma or GED, it can be difficult to secure a job or pursue your career goals. By earning your GED, you can open doors to career and job opportunities, as well as college, trade school, and technical training. Once you complete your GED, we assist with job skills, and can help you transition into the workforce or higher education. ​Visit us and get started today! 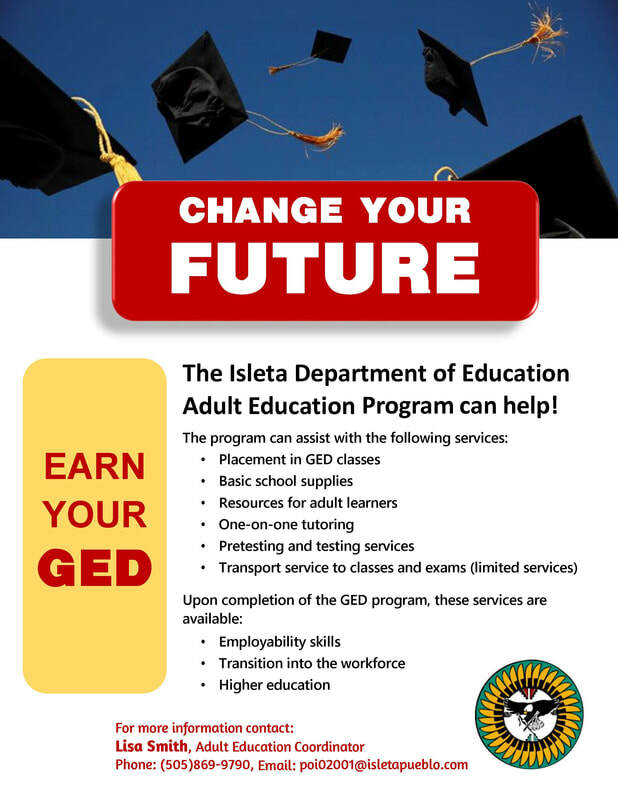 All persons with ¼ Isleta blood or more are eligible for Adult Education services. Do you need to get your GED? Isleta Department of Education can help!